The Rhinobond has become popular because of its value to building owners offering them the performance and longevity of traditional glue down roof but with all the cost savings of a screw down or mechanically attached roof. 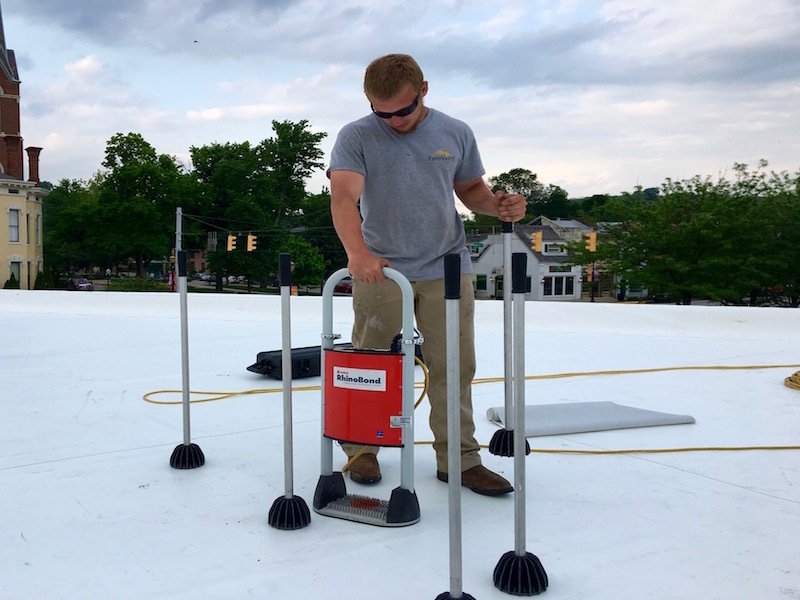 Both Royalty Roofing of Seymour and Exterior Pro Roofing of Madison are Indiana Duro Last roofing Contractors, both have achieved Elite contractor status for high quality flat roof installations, and both have experienced flat roof repair techs for finding and fixing roof leaks. But there are some differences between the two flat roofing companies. 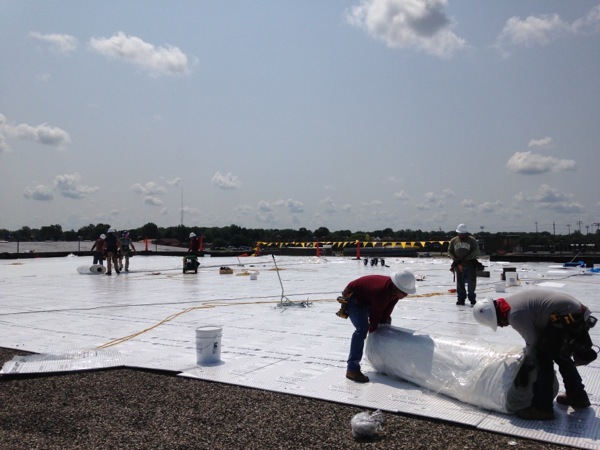 Add value to your next flat roofing project by using each contractor where they are best. 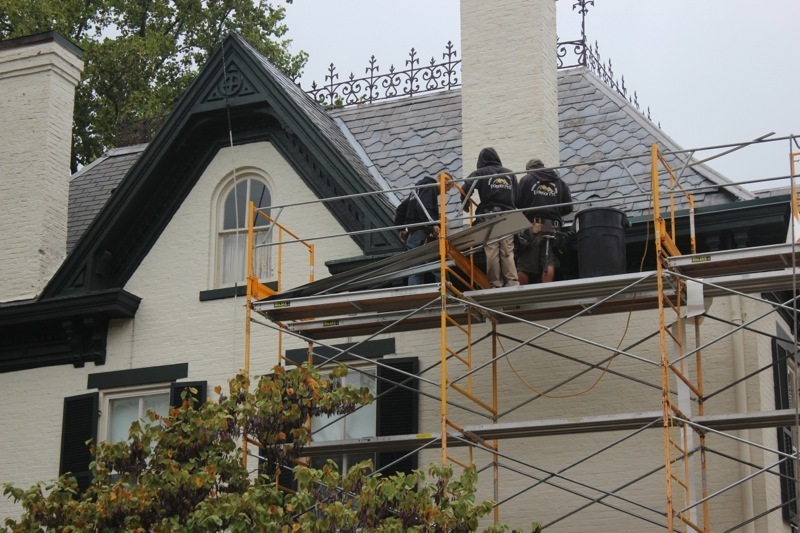 Using a roofing contractor where they’re best means using the roofing contractor at it’s most competitive pricing, where it’s crews are the most efficient, and where there is the most overall value for the building owner. Exterior Pro is proud to announce that in October 2014, they have achieved the Duro-Last “Elite Contractor Award” for accomplishing requirements for this award set by Duro-Last. Just earlier this year in March Exterior Pro joined the prestigious Duro-Last Roofing Century Club for installing over 100,000 sq. ft. of the Duro-Last commercial flat roof system in 2013 and now before the year is over with, Exterior Pro can add the Elite Contractor Award to the list. To receive this recognition award a certified Duro-Last contractor must have installed over 150,000 sq. ft. on five or more commercial flat roof projects and have had them inspected by Duro-Last and received “outstanding” scores on the inspection results. So not only does the contractor have to install more than the above amount but they also have to receive great scores on the inspection of the workmanship quality. 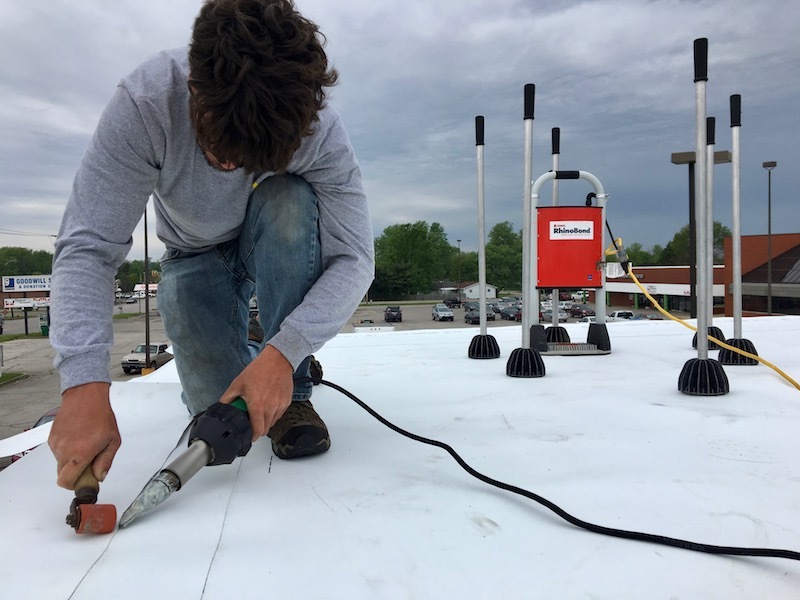 Each flat roof project using this roofing system is inspected by a Duro-Last representative before receiving the warranty. 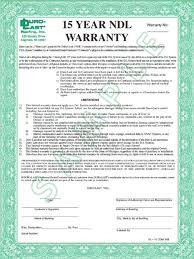 When commercial building owners are investigating the different roofing systems there are available to them, one thing that should really stick out in the process is what kind of warranty is offered. There are many companies that either have the same material type or offer other type of systems. For instance there is TPO and PVC that have some similar aspects but are also very different. For more information on the different roofing systems that can be used for commercial flat roofing check out this blog Flat Roof Materials. 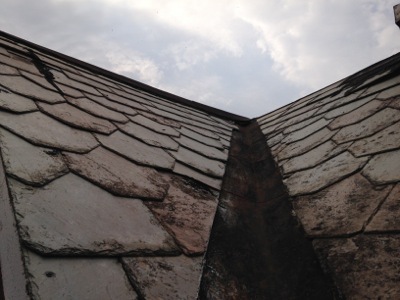 One expense that must be included in running a business is a maintenance plan for the roof. 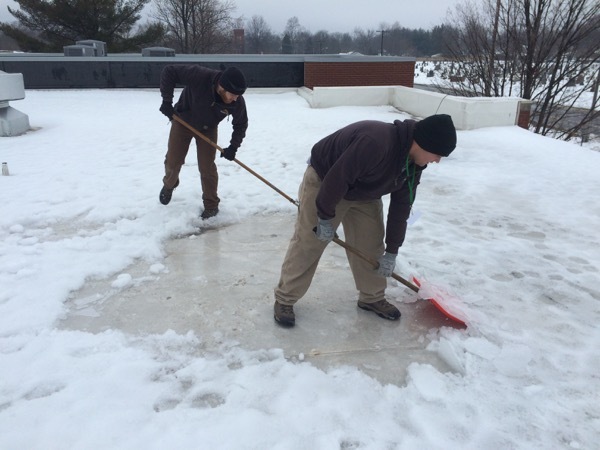 A over 90% of commercial buildings have a flat roof; and many of those roofs can be a large area that must be maintained. But can you just put anyone on the roof? Not really, you need to have someone that has knowledge of a flat roof and its components to be able to properly maintain the roof and perform whatever may be necessary.